This project tracks activity related to the KDE Community Forums (https://forum.kde.org). catalingeorgefestila triaged T9493: Error: Login with Phabricator not authorized to use your Phabricator credentials . as Normal priority. 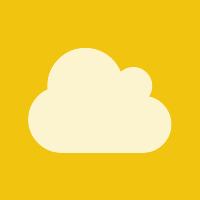 bcooksley updated the image for KDE Community Forums from Unknown Object (File) to F555271: fa-cloud-yellow.png. bcooksley updated the image for KDE Community Forums from Unknown Object (File) to Unknown Object (File). bcooksley set the icon for KDE Community Forums to Infrastructure. bcooksley set the image for KDE Community Forums to Unknown Object (File). bcooksley set the color for KDE Community Forums to Green. lbeltrame changed the edit policy for KDE Community Forums. lbeltrame added a member for KDE Community Forums: bcooksley. lbeltrame created KDE Community Forums.